Today, China took one massive step for animal welfare, thanks to the removal of a law that required animal testing for cosmetics. Testing ordinary cosmetic products like shampoos and skin care products on animals will no longer be mandatory, according to the China Food and Drug Administration. Instead of animal tests, manufacturers can now look to alternative methods or existing data to assess the toxicology of products. But the new measure isn't perfect -- it doesn't apply to imported products or any special-use products like sunblock. The move has been welcomed by animal rights advocates, who say it's still a big step in the right direction. "It's a significant departure," Troy Seidle, director of research and toxicology for the Humane Society International (HSI), told The New York Times. "Certainly it's the first time we've seen an animal test requirement being removed from Chinese regulations for cosmetics," he added. 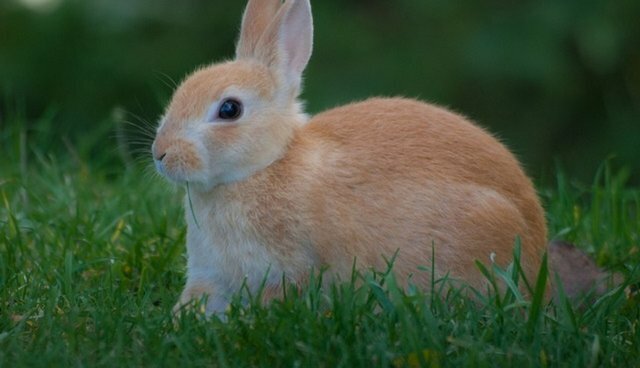 Currently, China tests cosmetic products on 300,000 rabbits, guinea pigs, mice and other animals each year -- a number that many hope will decrease, given the new measures. Animal advocates celebrated today at a rally in Dalian, China, complete with 100 life-size rabbit cut-outs and a huge banner. "We're determined to end all such suffering, and this rule change is a step in the right direction, but we're not there yet."